Enjoy unobstructed panoramic views overlooking the Caribbean Sea from this pristine condo. The condo offers a number of features including a 100 KW backup generator, instant hot water heater, water purification system, pool, and the privacy of being an end unit with its own private driveway and additional parking up top. South View Villas is conveniently located just 10 minutes from Downtown or 15 minutes from the East End of St. Thomas. This condo is being offered fully furnished with appliances and AC units in every room. Listing information © 2019 St. Thomas Board of Realtors MLS & St. Croix Board of Realtors MLS. Listing provided courtesy of Sea Glass Properties. 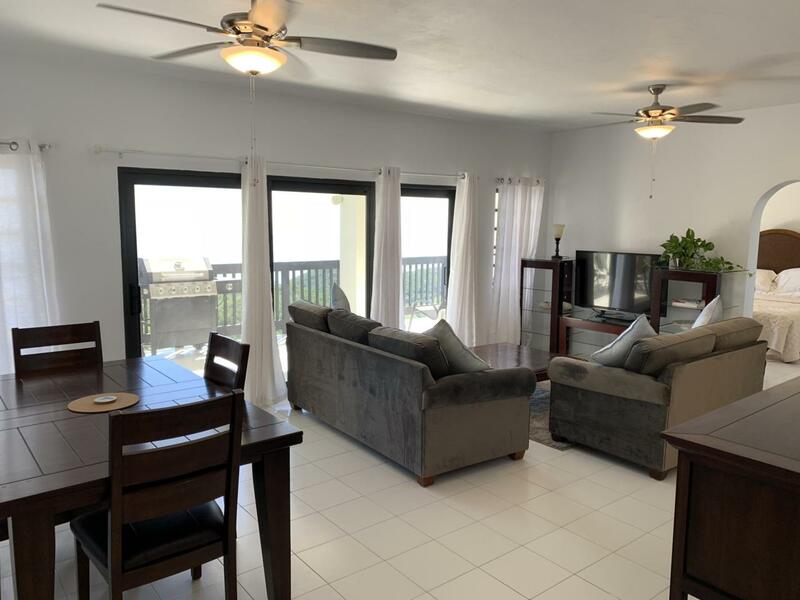 © 2019 St. Thomas Board of Realtors Multiple Listing Service & St. Croix Board of Realtors Multiple Listing Service. All rights reserved. IDX information is provided exclusively for consumers' personal, non-commercial use and may not be used for any purpose other than to identify prospective properties consumers may be interested in purchasing. Information displayed on this website for listings other than those of the website owner are displayed with permission of the St. Thomas Board of Realtors Multiple Listing Service (MLS). Real estate listings held by brokerage firms other than the owner of this website are marked with the words “Broker Reciprocity" or logo. This website may not display the entire St. Thomas Board of Realtors MLS active database, as some owner(s) of records may not have given permission for their listings to be displayed. Information is from sources deemed reliable but is not guaranteed. Prospective buyers should verify information independently. Data last updated: 2019-04-22T00:15:43.603. The Hanley Team with Farchette & Hanley Real Estate is the most innovative real estate agent in the Virgin Islands.